Office furniture doesn’t wear out; it gets nicked, marred and scratched. It usually remains solid with years of service left. The office services managers of many Fortune 500 companies have recognized this and contacted us for our refinishing expertise. Regency Restoration Group specializes in refinishing office furniture in a very short amount of time. This process restores aging furniture to its original finish, also can re-upholster old seats, turning ugly or used furniture to a beautiful, polished and new upholstered pieces. 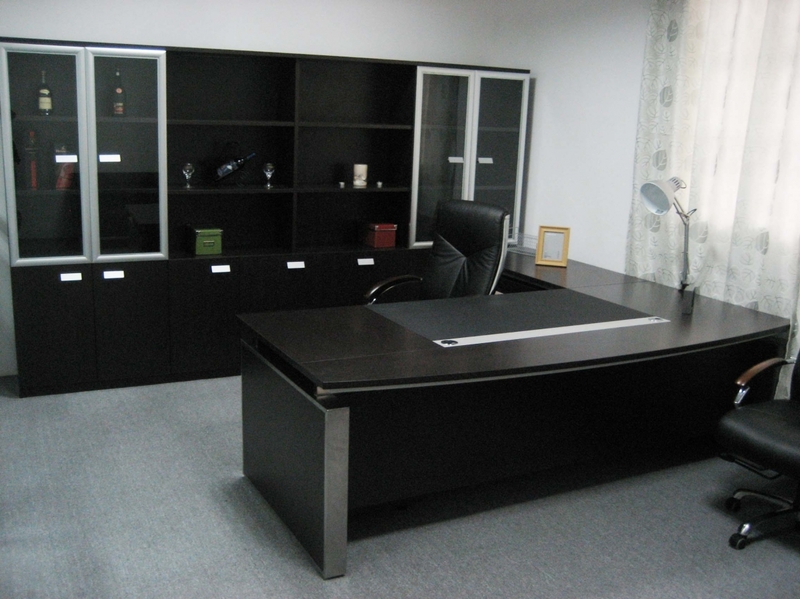 Bookcases and Conference tables as well as desks and credenzas are our specialty. The refinishing is tax deductible as a maintenance expense. Savings up to 50% to 75% can be realized by refinishing rather than replacing. We can work on both, wood and mica. We are a great option at the moment of moving to a new office, we can even convert your conference tables and office furniture to fit the new space, could be cutting and making smaller or expanding to a larger size, depending on your needs. We can schedule pick up at the end of work day on Fridays and return pieces Monday morning by noon, to avoid the inconvenience of leaving empty offices during working days. If the project is too large to do that, we can do it in phases, whatever is needed to satisfy the needs of our clients without affecting their productivity. We use special lacquer on the top coats to ensure the long life of our finish. Our finish can match any decorator colors including blends and matches to existing office decor. We can also match any sample submitted by our clients. From faux finish to traditional wood colors or French polish. In a very short period of time, you will be able to enjoy all new appearance of desks, cabinets, credenzas and conference tables. The change improves the attitude and morale of the staff, as well as enhancing the company’s corporate image. Furniture re-upholstering and refinishing, offers an alternative to the costly replacement of old office furniture. Maintain a Green attitude:Recycle! We can refurbish or replace most makes of fabrics for workstation panels or seating – a cost effective alternative to replacing your used office furniture. Repair worn furnishing and change colors and textures to revitalize your entire office for less than the cost of new furniture. We reupholster office chairs, workstation panels, conference room furniture, reception furniture, and any other office furniture item with a fabric surface. An economical way to make your office look new. We work on all styles of office chairs, as well.